All Inclusive golf holidays offers golfers the chance to travel with ease knowing their food and drink will be readily supplied by the hotel. With stunning golf resorts in Spain, Portugal, Turkey & Bulgaria. 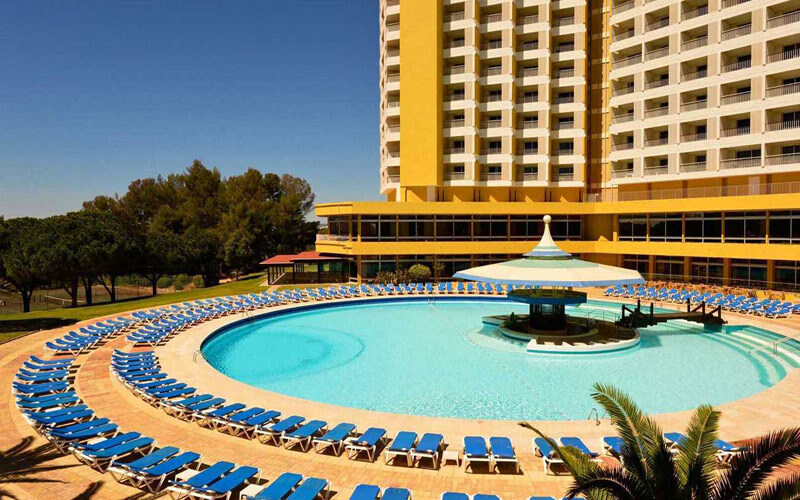 The 4* Pestana Delfim is an all-inclusive only hotel located in Alvor, with an amazing view over the Bay of Lagos, which is only 3 minutes walk away. The majority of the rooms have a direct sea view and balcony. Golfers can take advantage of excellent rates at the Pestana courses of Vale da Pinta, Gramacho, Silves Alto & Vila Sol. The Morgado Golf & Country Club is a 4* resort situated on a 36-hole golf complex, comprising Morgado and Alamos. The resort is a short distance to Portimão, Monchique, and Alvor, giving you a great selection of nightlife. This fantastic resort also has access to Salgados golf course which is close by. Located on the beach and a short taxi ride to Albufeira, the 5* NAU Sao Rafael Suites offers luxury accommodation on an all-inclusive basis. There are 3 swimming pools, spa, health centre and a choice of restaurants on site. The Resort offers fantastic packages playing golf at Salgados, Morgado & Alamos. The hotel also offers free shuttle service to the golf courses and downtown Albufeira. The 4* Hotel Bonalba Alicante is located in the quaint area of Mutxamel, Alicante. The nearest beach is within two km and to enjoy the local nightlife the town of Alicante is only ten minutes drive away. The hotel offers quality accommodation and access to it’s on site Championship golf course. 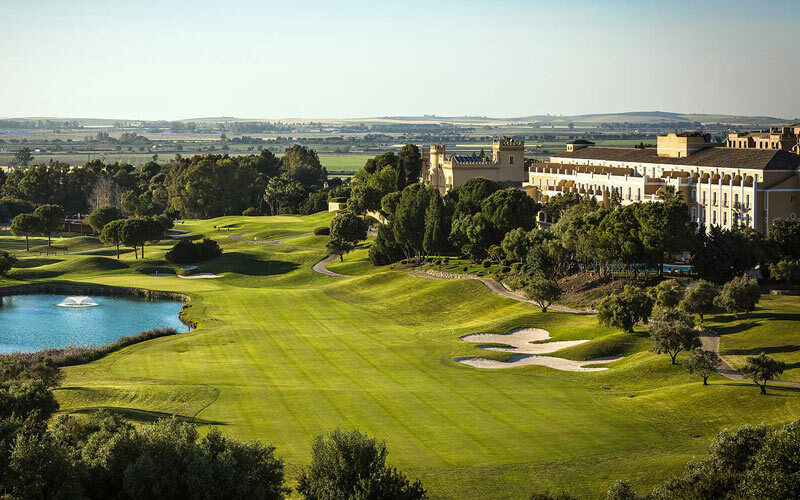 The 5* Barcelo Montecastillo Resort offers fantastic deals with unlimited golf on the Jack Nickalus designed golf course. The resort has a superb Health & Wellness Centre, swimming pool, gym & tennis courts. The El Lagar Restaurant offers a variety of international dishes and regional cuisine and the Bar del Castillo offers traditional tapas. This resort has become an integral part of Costa de la Luz golf holidays. 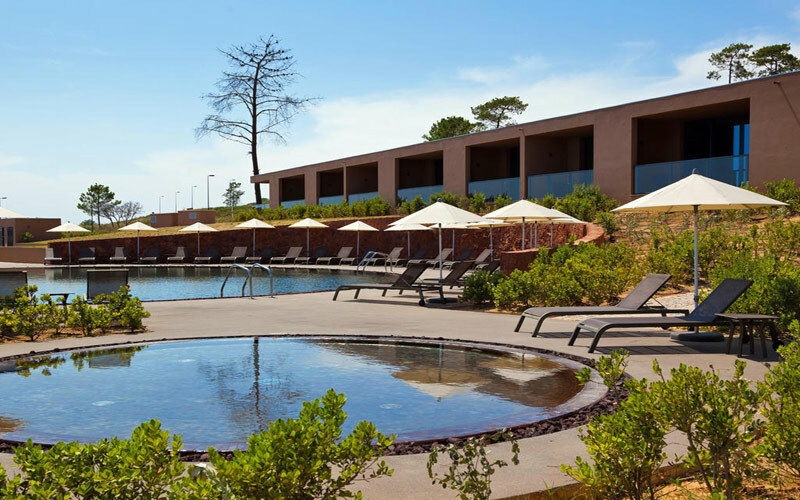 The 5* Precise Resort El Rompido is a fantastic luxury hotel overlooking the Atlantic Ocean with 2 golf courses on site (El Rompido North & El Rompido South). Flexible golf packages are available for a minimum 3 night stay on a half board basis with 2 rounds of golf. There is also a great semi-inclusive offer with drinks included between 17:00 – 24:00. The rooms are tastefully decorated and have views of the South golf course, the ocean, the gardens or swimming pool. The hotel also has a spa and private beach club. 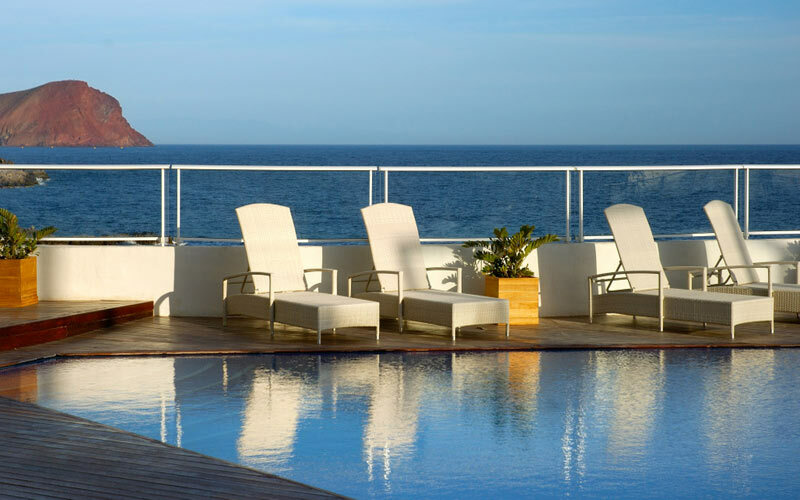 The 4* Vincci Tenerife Golf Hotel is close to Golf Del Sur golf club and the beach and offers 125 rooms and suites. The hotel offers a tennis court, outdoor swimming pool, sauna and massage room. Each room has a balcony or terrace and there are superior rooms available which offer a living area and sofa bed. 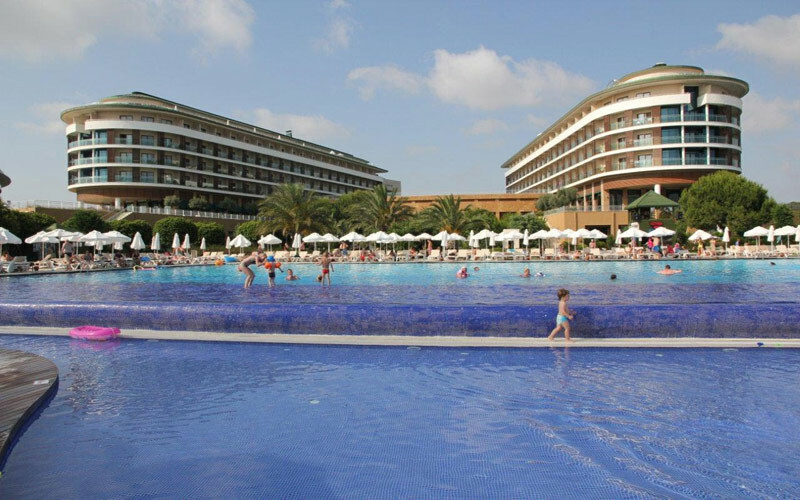 The hotel Vincci Tenerife is one of the most popular choices for Tenerife Golf holidays. The 5* Lighthouse Golf & Spa Resort offers three of Europe’s finest signature golf courses sitting side by side. Set on top of towering cliffs overlooking the beautiful Black Sea, the three golf courses are created to challenge and inspire every level of golfer. The Thracian Cliffs and BlackSeaRama courses were designed by Gary Player and Ian Woosnam designed the Lighthouse course.The hotel provides elegant and stylish accommodation and the rooms have private terraces with pool, garden, golf course or sea view. 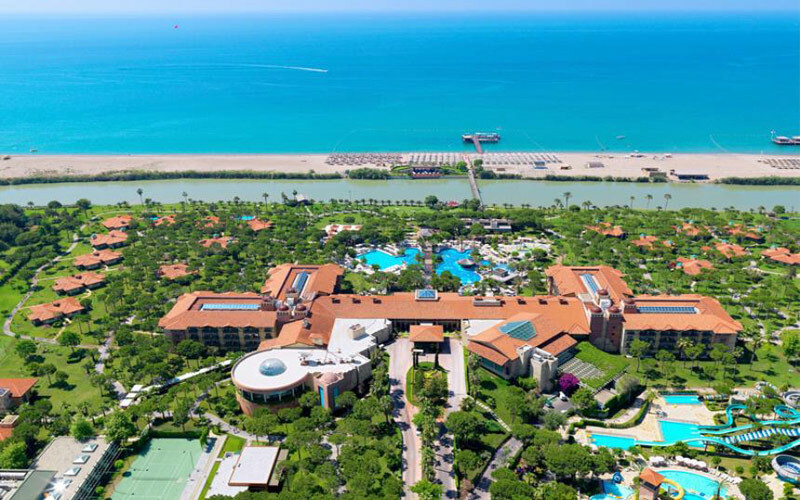 The 5* Voyage Belek is a superb hotel that offers a very good price. It has many different room types on offer, but as long as there is availability they will prioritise upgrading their golfers free of charge in the winter. The hotel has a 24 hour bar perfect for golfers, with a really fantastic selection of imported beverages included in the all inclusive concept. A delicious patisserie in the main Voyage hotel building is a treat not to be missed. 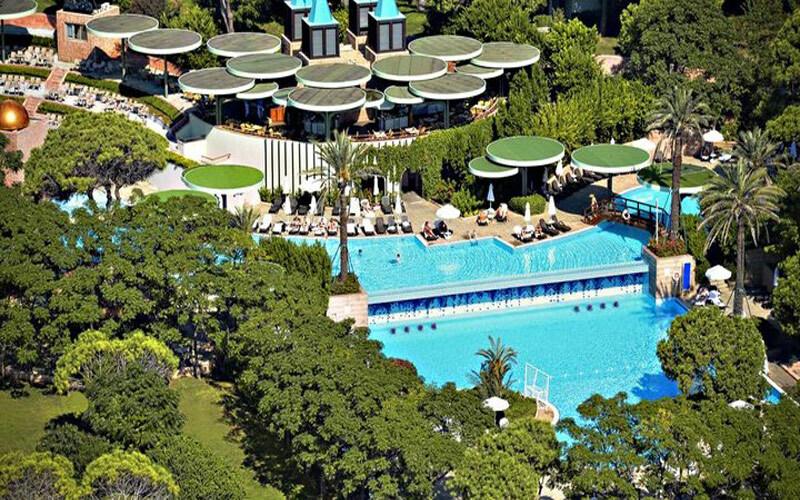 Voyage Belek also has a separate adult pool and adult restaurants, which is great for those wishing to escape the more family orientated atmosphere of many hotels during the school holiday breaks. 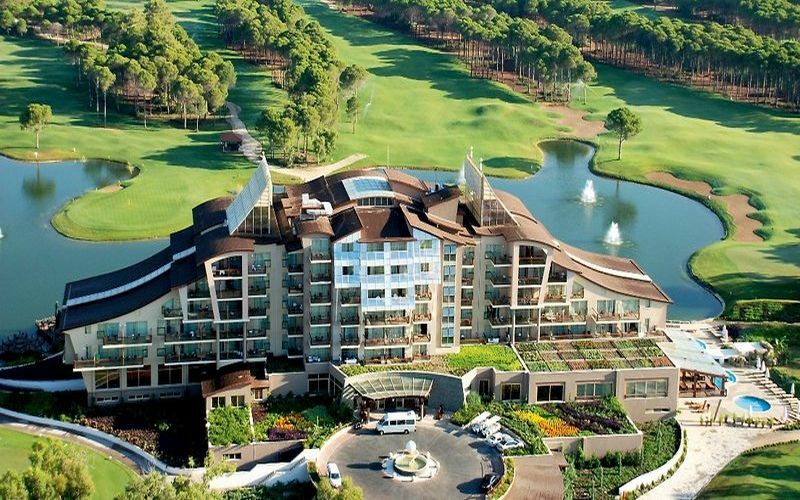 The 5* Gloria Golf Resort is located in Belek, Antalya, in a beautiful pine forest, which has access to the beach via a bridge over the Acuis River. The hotel consists of rooms situated in the main building and bungalows in a beautiful garden and the resort has a 45-hole championship golf course on site. The resort offers half board and all inclusive packages and has a number of snack bars and restaurants. The 5* Gloria Verde Resort is a luxurious hotel located in 50,000 square meters of pine forest and offers a championship golf course and club. A complimentary shuttle service operates to the golf course, as well as connecting the resort hotels. The hotel faces a beautiful sandy beach and the complex has a rich variety of bars and restaurants. 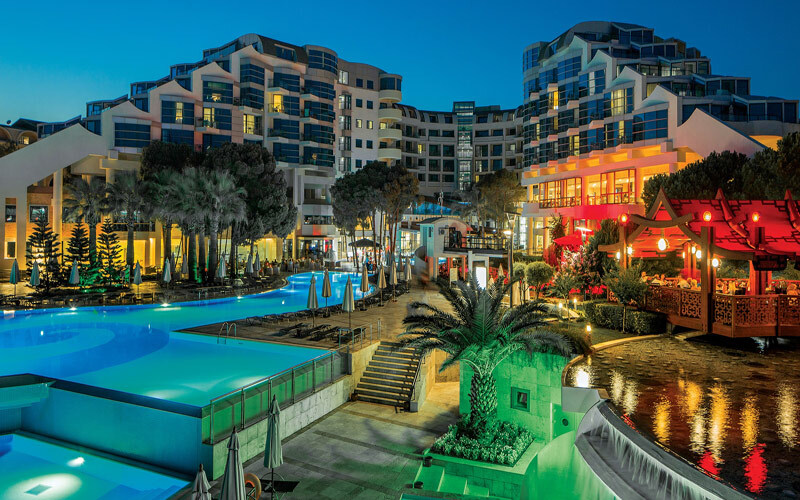 The 5* Sueno Golf Hotel is located at the heart of two championship golf courses, just a short distance from the beach and has everything a golfer could wish for. The hotel captures the essence of Belek, where golfers are not only treated to a fine array of championship golf, but are also based in the lap of luxury. No stone is left unturned at the deluxe Sueno Golf Hotel, which is among the finest of Belek’s superb golf holiday options. 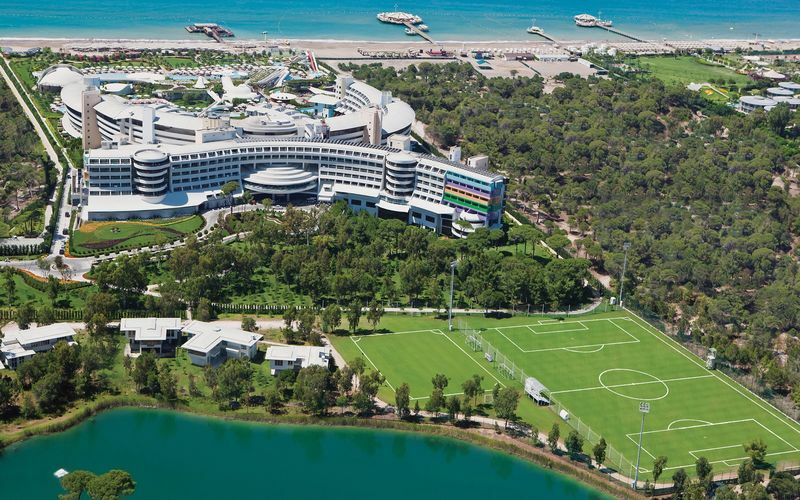 The 5* Sirene Belek Golf & Wellness Resort occupies a superb position on the doorstep of The Pasha and The Sultan courses. An excellent value hotel combined with the high standard of courses has made the hotel a highly popular choice with golfers. 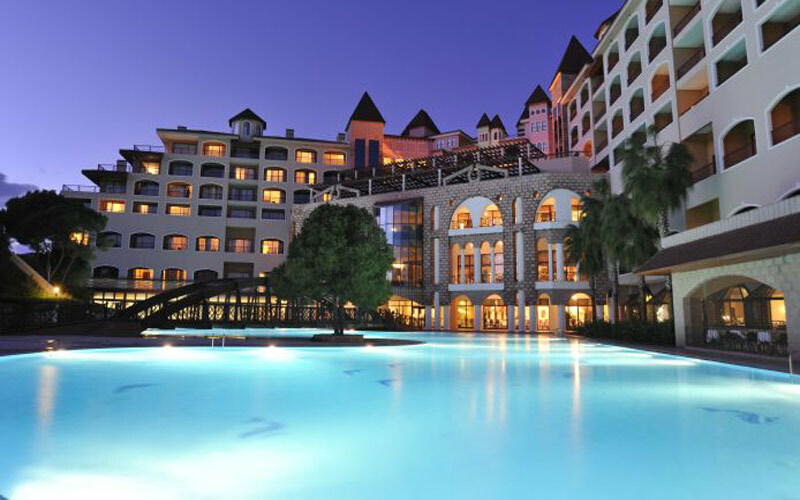 This high quality resort offers a high standard of accommodation with a total of 649 bedrooms and suites. 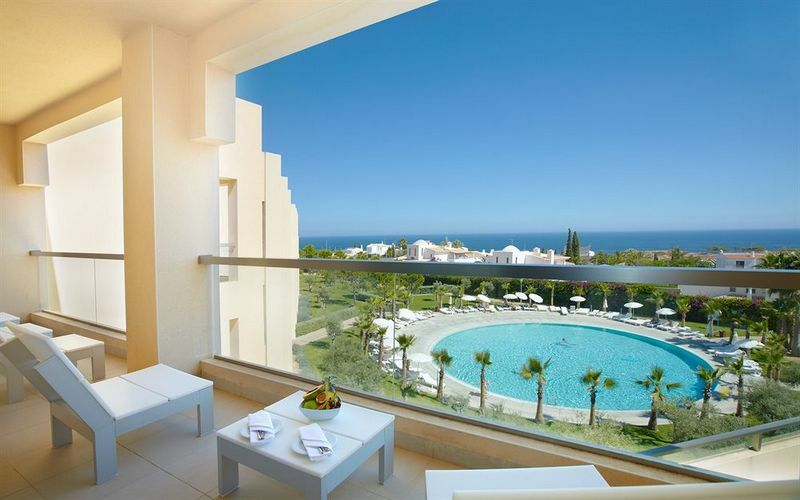 The 5* Cornelia Deluxe Resort is the smaller of the two Cornelia golf hotels and occupies an excellent location overlooking the sea. This sophisticated hotel offers elegance and a unique holiday experience with all inclusive packages. Golf courses are nearby and the service and hospitality at the resort are first class. 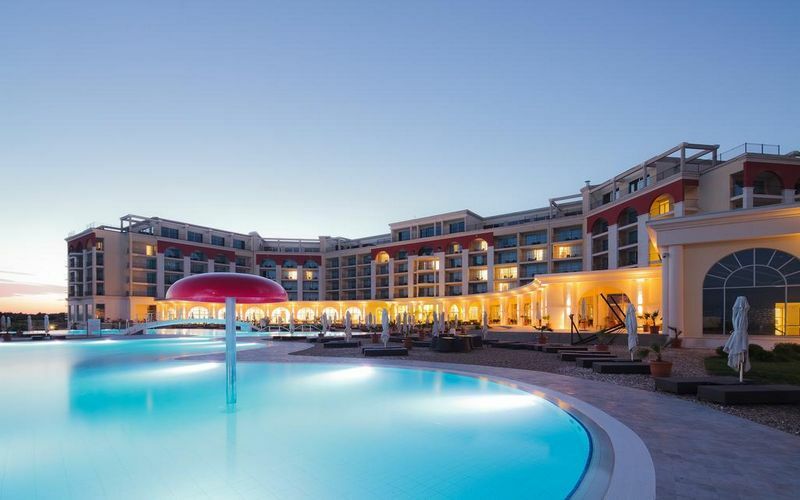 The 5* Cornelia Diamond is the larger of the two Cornelia Resorts in Belek, with 7 a la carte restaurants offering a variety of international cuisines and 10 bars. Cornelia Diamond is a golf hotel with an impact, where the stunning modern design and champagne welcome service sets the tone for your stay. The rooms are high luxury, with superb facilities and the mini bar and room service menu all included. 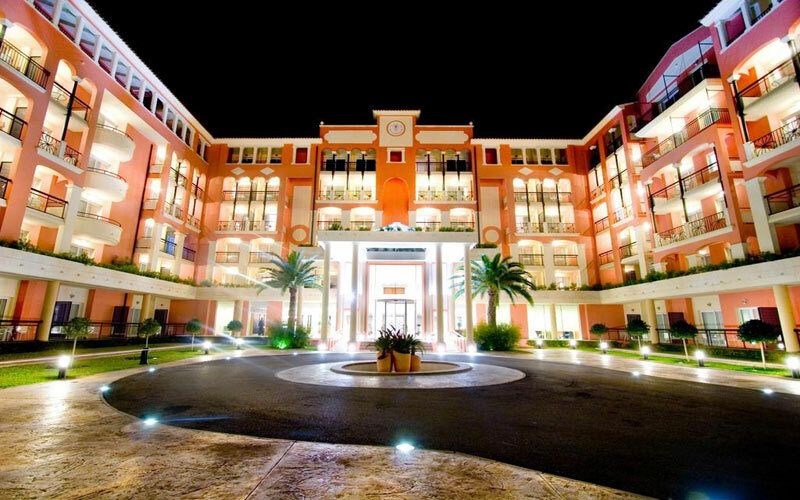 The Cornelia Diamond Hotel is consistently voted one of the best hotels in the Turkish Riviera, and indeed in Europe. The Crassula Spa and Wellness Centre is one of the best spa’s in Antalya, offering you the chance to truly unwind after a round of golf on the 27 hole Cornelia Nick Faldo Championship course. The Cornelia Diamond is a perfect location for your Turkey golf holidays. 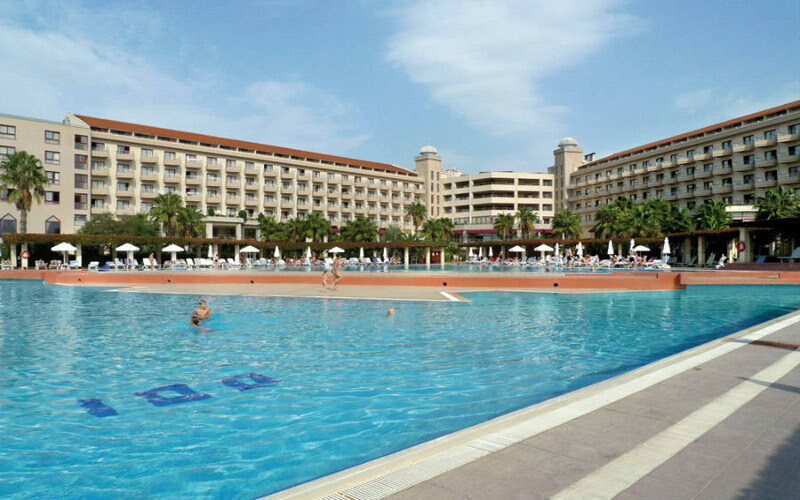 A really great budget option the Kaya Belek Hotel is an economical choice for a golf hotel in high golfing season. The rooms are large and of a good standard, and although the hotel is in reality more of a 4* property, the price makes up for this. With a free shuttle to Kaya Eagles and preferential tee times and rates there, Kaya offers a good resort package. Rooms are large and have recently been renovated, and the public areas are all of a good standard too.